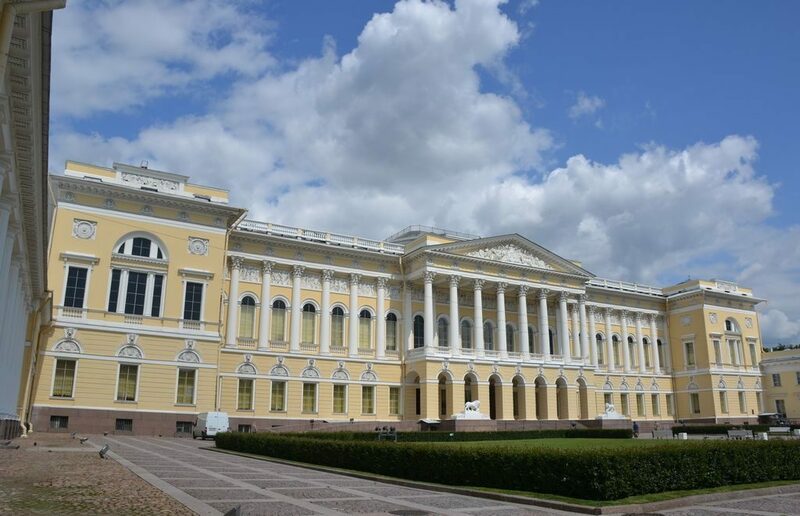 Paintings by one the most heavily traded of Russian artists can be seen at one of the biggest St. Petersburg museums for several times, though, unfortunately off the tourist season peak. What makes the event outstanding is that it collected Aivazovsky’s works from a bunch of museum and even private collections. Born in a town of Feodosia, on the Crimean peninsula, the artists had an Armenian name — Ovannes Gaivazyan. His father used name Gaivazovsky as a nickname. 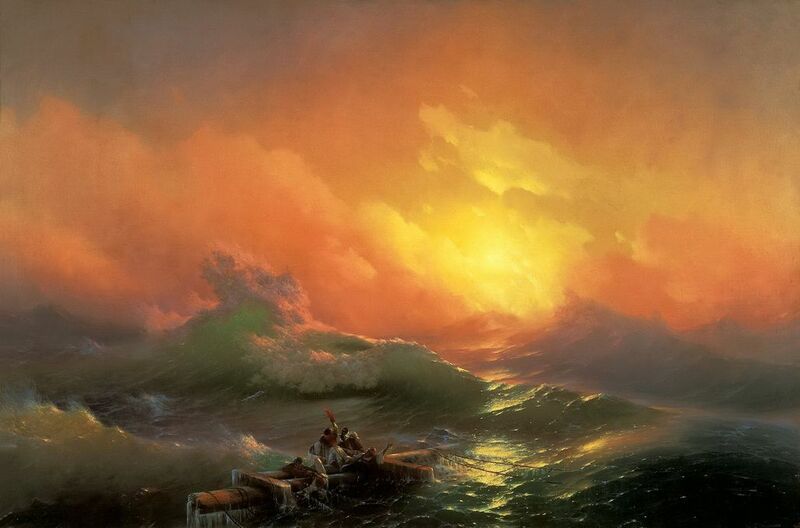 The son decided to take it as a real name, but then reduced to Aivazovsky. He grew up in Feodosia by the Black Sea, and the town was one of his favourite workplace where many masterpieces were created. Ivan Aivazovsky became a student of the Imperial Academy of Arts in St. Petersburg, which was then the capital of Russia, and began to study construction of battleships. As a result, he became a head painter of the Russian Navy and served there for many years, thus securing the possibility of limitless observing ships and military exercises in the Black Sea and the Gulf of Finland and the Baltic Sea. So his works can be used even for studying the history of the Russian navy. The collection features works from many holdings, one of them was even delivered from New York. Among them you can see probably the most popular masterpiece The Ninth Wave. The painting are accompanied by personal belongings of the artist and other authentical things of that period. The Russian museum, the Benois Wing, 2 Griboedov canal, 3 minutes walk awat from Nevsky prospect (Nevsky avenue) subway station. Schedule: 22 December 2016 — 10 March 2017. Opening hours you can see here.